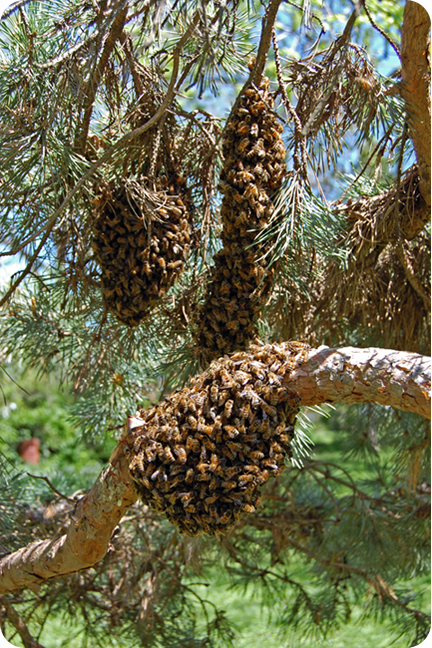 Due to a mild winter, swarm season started very early this spring. Here is a shot of a swarm I collected on Easter. The swarm is moving in to the HAVEN hive. 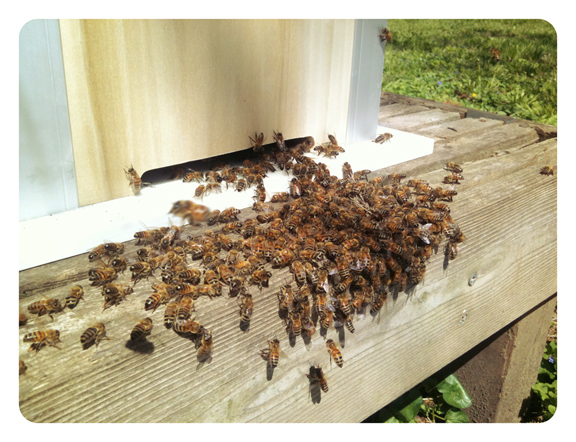 Some of the worker bees stand at the entrance and fan their wings to spread the queen’s scent. This helps guide all the bees into their new home. 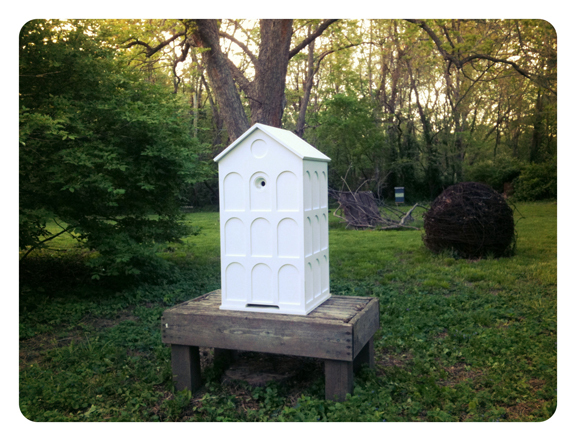 The swarm has completely moved in and the outer shell has been placed on the hive. It will sit here in a holding yard while the post is fabricated and the final installation site is prepared.